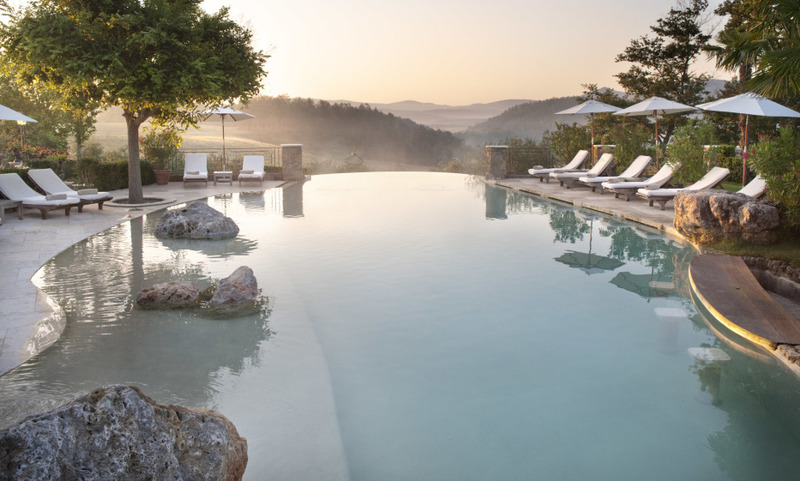 Set in the heart of of Tuscany, 30 minutes away from Siena and near the medieval town of Chisudino, The Borgo Santo Pietro is off the beaten track for most travelers. This 13th century Manor is one of the most exclusive hotel experiences in Italy, and if you do go the extra mile, you'll be treated to an enclave of luxury and romance that will leave you charmed. Fortuny silks and Rubelli velvets line the rooms, large balconies give on to breathtaking views of the Tuscan landscape, and the Michelin Starred dining at the Meo Modo restaurant is one of the region's best. All of the rooms and suites are unique, and set the mood with fireplaces, candelabrums, and replica oil paintings; while Ipads provided by the hotel give you all the convenience of the 21st-century living. The Borgo Cooking School inviting you to make handmade pasta from scratch or stretch out the perfect pizza dough. The wine testing sessions taking place in the Borgo's secular cellar. A special amenity (fruits or chocolates).